The air in the forest feels cool, crisp and refreshing. It is believed this effect is due to the phytoncide given off by plants and trees. 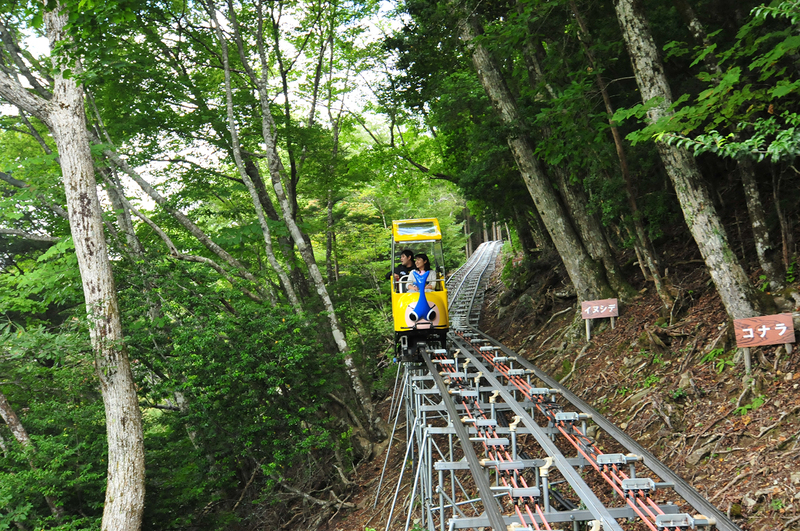 Please enjoy the slow monorail ride in the forest and that will give you the feeling as though you are trekking the mountain. You will appreciate the benefit of nature as people in Japan commonly engage in so-called forest bathing to breathe in phytoncides emitted to try to improve their health. The overall length of the monorail ride 4,600 meters, the difference in level 590 meters, the sharpest slope at 40 degree, the highest point at 1,389 meters, those figures at Okuiya monorails come first in the world record among tourist-orientated monorail service. *We adopt electrically powered monorails, which are environmentally friendly.